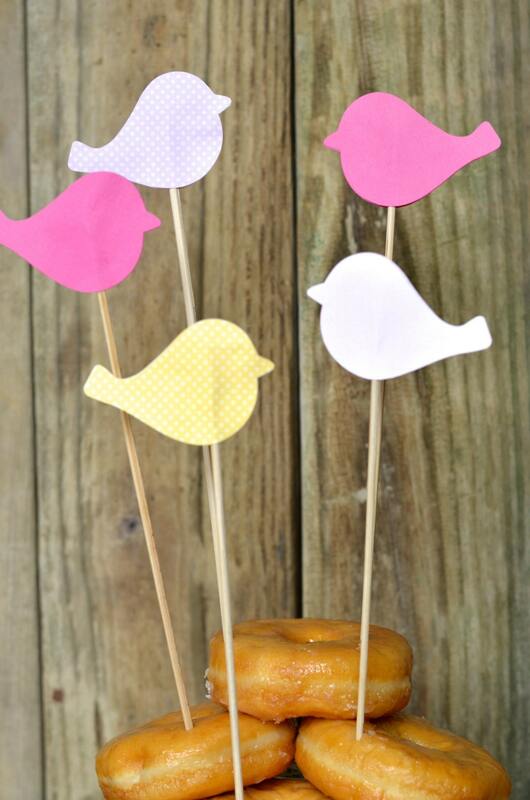 A set of three "tweet" birdie dessert toppers - perfect for adding a touch of color and whimsy to the top of your desserts or hors d'oeuvres. 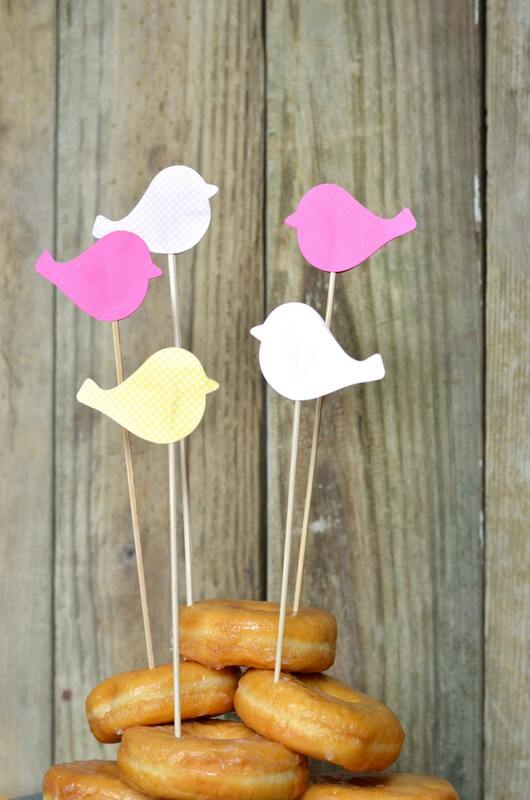 These charming birds are not limited to just food items - add them to bouquets or centerpieces, too! 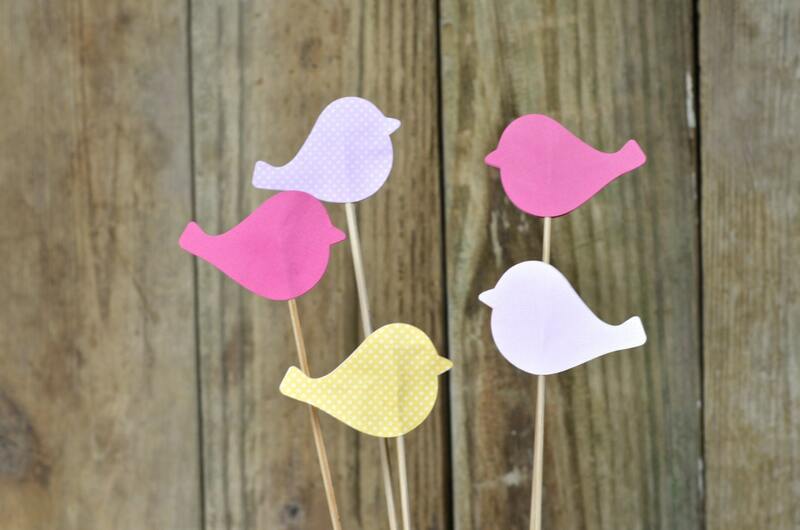 Each pick is made using sweet birds cut from gorgeous colored heavy weight paper and is double sided (so that there isn't front or back - they look amazing from every angle!). Choose from the colors listed or select "Custom Color" and let us know which color you'd like in the "notes to seller" portion at checkout! 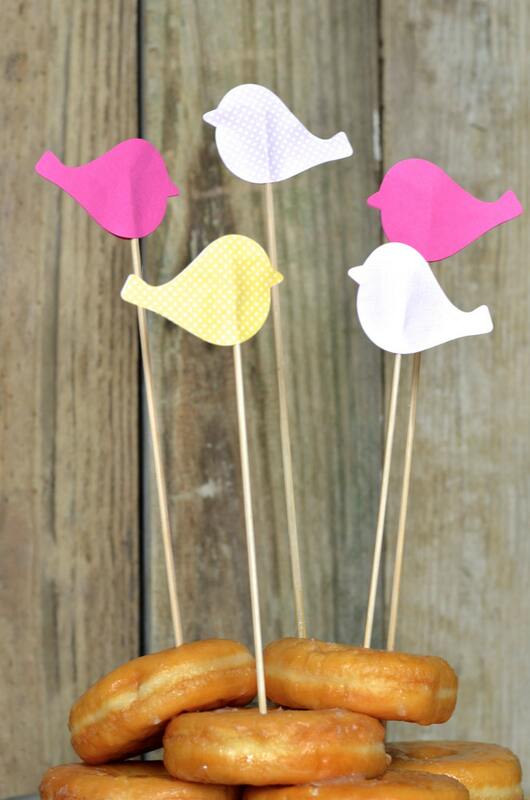 Each paper bird is 3" across, and with the pole, is 14" tall. - are you looking for a larger quantity or different colors? Send me a note and I'll get a custom listing set up for you - I love custom orders! I am in love with my lit birds! They're very very cute! Even cuter that the picture! I highly recommend this item! And the shipping was very fast!